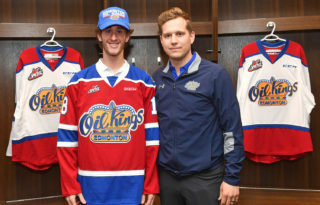 In October, Missouri City’s Ian Ferguson signed to play with the WHL’s Tri-City Americans. 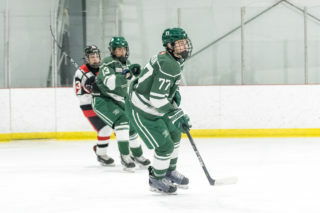 These three words describe Ian Ferguson as a hockey player and a person, and are echoed by his coaches as traits that make him a valuable asset on the blueline. 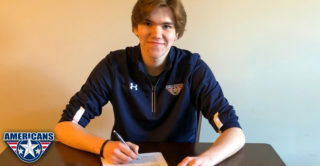 Now, the 16-year old lefthanded defenseman will take his skills to the next level after signing a standard player agreement with the WHL’s Tri-City Americans in October. 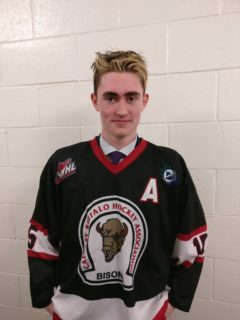 Ferguson will begin playing full-time major junior hockey in 2019, another step forward in his ultimate goal. 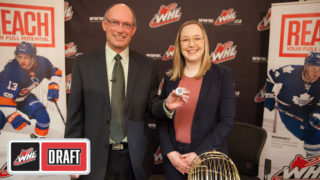 “Very few players have the opportunity to play at this level, and I was more than happy to commit to becoming a member of a great organization such as Tri-City Americans. I plan on continuing to develop my hockey skills so I may be considered for a spot in the NHL,” Ferguson said. Joe Nieuwendyk, a 20-year NHL veteran who was inducted into the Hockey Hall of Fame in 2011, is an assistant coach for the Dallas Stars Elite Hockey Club, the Tier I minor hockey team Ferguson has played with the last two seasons. The young defenseman reminds Nieuwendyk of another era. “He’s a little bit of a throwback in the sense he’s physical. He keeps the game pretty simple, I think he plays with a lot of poise. 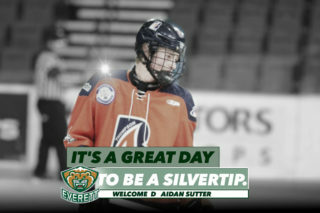 I think he knows what he can and what he can’t do out there, and he focuses heavily on the defensive part of the game. He’s a very steady defenseman… he knows when to join the rush and he gets up ice quickly,” Nieuwendyk, a member of the NHL’s 100 Greatest Players, said. For Matt Wyatt’s full article of Ian Ferguson go The Houston Chronicle.